In a competitive online marketplace, it's critical to make your product or service stand out from the crowd. And these days, snappy slogans and eye-catching images can only take you so far. 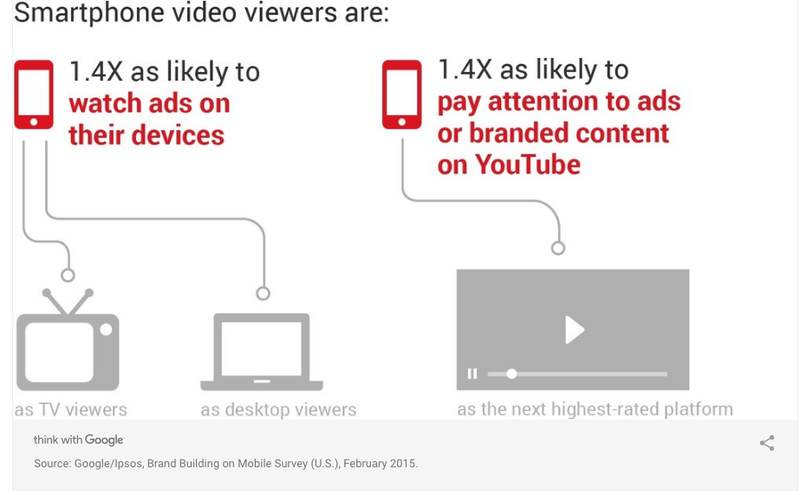 In today's world, marketers who want to stay on trend need to devote their attention to video. 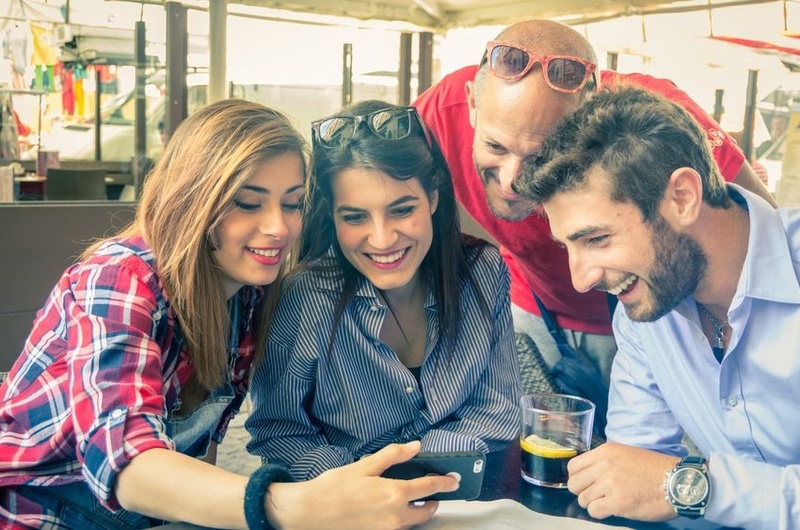 Read on to discover why video needs to be a part of any successful modern marketing strategy. As you establish your content strategy with your marketing partner, be sure to explore video marketing services to ensure video is part of your marketing plan. 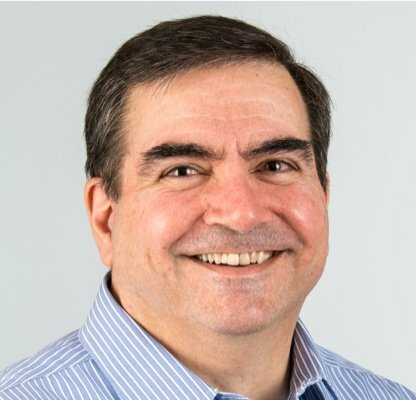 More consumers are accessing the Internet via mobile devices than ever before -- and when they're scrolling through pages on a small screen, the majority won't be interested in stopping to read a 500-word blog post. They will, however, stop to watch a video. Video-sharing giant YouTube reports that mobile video consumption doubles each year and more than half of YouTube views already come from mobile devices. As far as attention spans go, mobile users are less likely to get distracted and navigate away from a video: they spend an average of 40 minutes per session watching videos (but note that individual videos are best kept under two minutes). By not optimizing your content for a mobile experience, you'll fail to reach a significant subset of potential customers. According to an infographic created by Hyperfine Media, 64% of users are more likely to buy a product online after watching a video. 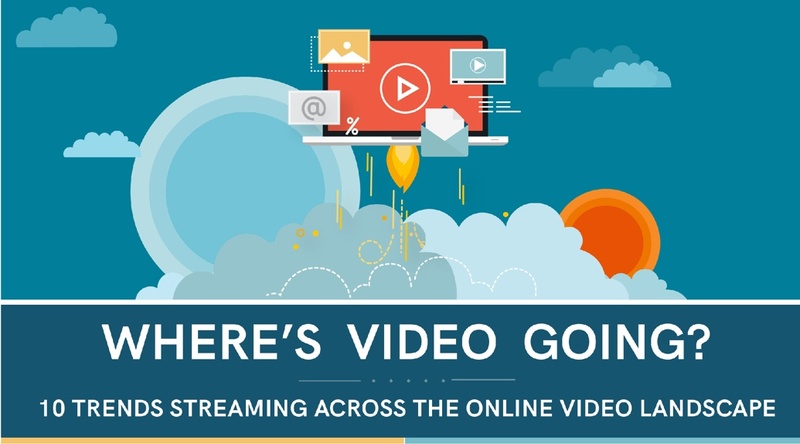 When a video is included on a landing page, conversion rates increase by up to 80%. Feature it in an email: you'll enjoy a 200%-300% increase in click-through rates. In a report put out by video marketing and analytics company Vidyard, 71% of marketers reported that video had a higher conversion performance than any other type of content. All of this goes to show that a well-crafted video has the potential to dramatically increase the number of content consumers who become paying customers. Be sure to create a video marketing strategy that fits into your businesses overal content strategy to ensure you are producing the right content. A video has the unique ability to combine multiple sensory experiences to convey information. Watchers are to about the product or service via the script, see it in action, and possibly even be wrapped up in a compelling narrative along the way. To further make your case, you can add things like graphs or testimonials. Because it's happening simultaneously, all of this can be done within the span of a minute or two. What might take a person five to ten minutes to read is easily condensed into a much shorter package when you involve video. If you're explaining a complicated concept or process, it may help to break it down with an animated video to illustrate it. Furthermore, many people find it easier to remember information from a video: Hyperfine Media reported that 80% of users remembered a video ad they watched in the past 30 days. If ads are done well, they won't feel like ads. There's a reason that many people look forward more to Superbowl commercials than to the main event: when video marketing is done well, it's not just marketing but entertainment. Make people laugh. Tug at their heartstrings. Solve a relatable problem. Keep people watching. Plus, don't forget the power of social media: millions of people follow companies or brands on Facebook, and great videos get shared. Although high-quality videos are becoming cheaper to make as software and editing tools go mainstream, production costs can still add up. Worry not: in a 2016 The State of Video Marketing survey, 76% of businesses found that the tactic provided an excellent return on investment. Just don't make the mistake of being too cheap, as low-quality videos (especially ones that do a poor job of explaining the product/service) have lower conversion rates. If you're making a video to place somewhere specific -- be it an email, your landing page, or a page elsewhere on the website -- then be aware of the space outside the video itself, and think of ways to reference it. Especially when you're considering something like a CTA (call to action), make it easy for users to know what action they can take next. Your narrator can say "Click below to learn more" and point down to a button. Or you could create a video tour of your site to get users acquainted with the interface. It's your chance to (literally) think outside the box. Video marketing is changing the game, and it needs to be a staple of any successful marketer's arsenal. Consumers, especially younger generations, rely on video to get information before making a purchase decision; if they don't find what they're looking for, it only takes a few clicks to navigate elsewhere, taking potential revenue with them. The best time to embrace the power of video is now. You can't afford to wait any longer. Video marketing is one of the most important trends today. Marketer's should take advantage of everything video has to offer them in the form of greater visitor engagement and improved conversion rates. 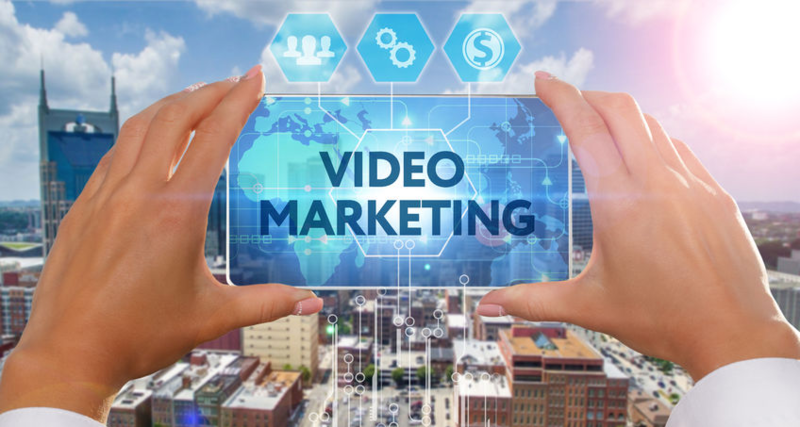 The following articles provide additional insight into how to use video to market products and engage visitors of your website. In the meantime, consider downloading the eBook: "Using Video with Marketing Automation to Generate, Nurture, and Qualify leads." T‍his article by Brenda Stokes Barron provides a nice summary of video marketing trends for 2017. It is nice to see data that provides a glimpse into what is to come with this important marketing media. There is no doubt that content marketing is becoming increasingly more visual. Posts on social media that include a visual element such as an image, an infographic, or even a GIF consistently have more shares and better user engagement. When you consider the fact that this past was largely dominated by video, it should come as no surprise that the popularity of video will continue to rise in 2017. T‍his blog article by Brian Peters does a very nice job of reviewing video marketing including tips for each social network and the tools you need to create and publish videos productively. YouTube brings in nearly 125,000 video views daily. We’d love to help remove those barriers so you can give social video a try! T‍his next article provides valuable insight into how to use Instagram for business. Instagram has taken off, especially since Facebook owns the medium. Most businesses have been focusing on the top 4 social networks (Facebook, LinkedIn, Twitter and Google+) and neglecting Instagram and Pinterest. Since Instagram is a video focused social channel, I thought it was important to offer a resource for those interested in how to apply it to business video marketing. If a picture is worth a thousand words, Instagram might be worth 1,000 new customers for your small business. The social media platform lets you easily share photos and videos with your followers and interact with their photos of your business. With an Instagram for Business account, you can also advertise and promote posts on the platform and get detailed metrics on how you’re engaging with customers. How can Instagram help your business get more customers? You’re a high-tech company looking to target a specific internet audience. But where are most users spending their time?